Violence Against Water Protectors; Wikileaks Release on Podesta Emails; the Downfall of the American Dream. 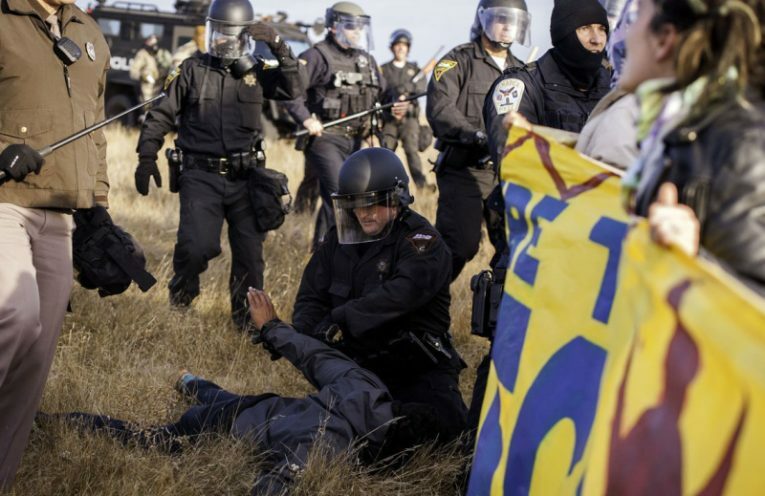 Violence against water protectors and journalists ramps up in North Dakota as the fight over the Dakota Access Pipeline continues. We’ll speak with Sarah Manning, contributor to the Indian Country Today Media Network. She’s been on the frontlines of the actions in Cannon Ball. And, journalist Kevin Gosztola joins us to discuss how the internal correspondence of the Clinton campaign can offer progressive activists guidance on organizing under a Clinton Presidency. Plus actor and political comedian John Fugelsang joins us to discuss his new documentary Dream On, where he retraces the journey of French philosopher Alexis De Toqueville to search for the elusive American Dream in our new Guilded Age.